Castle Wealth Management recommends this event to all clients. If you are a senior or the child of a senior, learning about fraud prevention is very important. 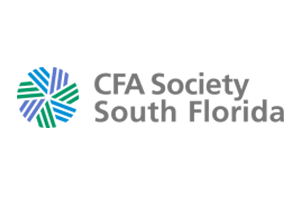 The CFA Society South Florida presents “Money Smart Week – Investor Education and Fraud Prevention.” FINRA speakers who head up the “Security Helpline for Seniors” and the capital forensics group will educate investors on how to prevent fraud, complaint investigations and arbitration.